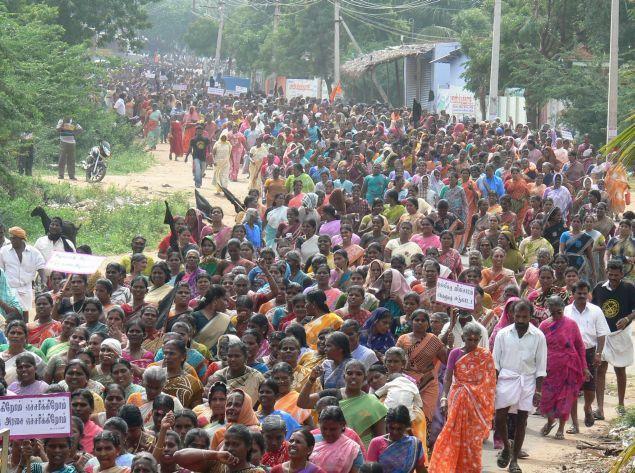 Jan 27,CHENNAI: Even as the anti-nuclear stir on the Koodankulam Nuclear Power Project (KKNPP) continues, noted human rights activist and public health specialist Dr Binayak Sen slammed the project calling it a “national shame”. When informed that a special emissary from Prime Minister’s Office, Minister Narayanaswamy, had just then confirmed that the plant would be commissioned as planned, he pinpointed the risks the project posed to the people and environment. “If not for anything else, see what happened in Fukushima. Do we (dare) risk a repeat?” he asked. The national vice-president of People’s Union for Civil Liberties (PUCL), Sen was appreciative of the way the people had risen as a community and opposed the nuclear plant. “It is heartening to see the way they have acted for their rights,” he said. On the health front, Sen accused the government of projecting a “fictional” figure of Maternal Mortality Rate (MMR). “Several governmental agencies have published MMR figures that ranged between 200 and 300 deaths per one lakh live births. But in reality that number is between 400 and 500,” he said. A recipient of the prestigious Jonathan Mann Award for Health and Human Rights, Sen’s love for his alma mater — Christian Medical College in Vellore — remains strong. He cut short his visit to Chennai to drive down to the Fort City on Wednesday.